Wow can you believe it's March already? One thing good it means spring is very very near. I know this has been a very cold and snowy winter for a lot of you. They had predicted we would be colder and wetter than normal and they were right. So let's just have happy spring thoughts and maybe it will come sooner. Let's look at some fab features from last week! 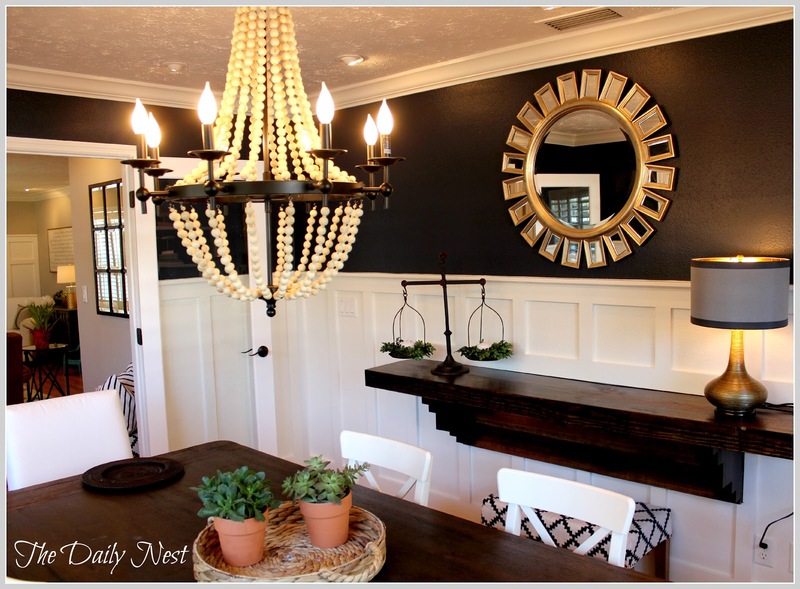 The Daily Nest shared her beautiful dining room reveal. 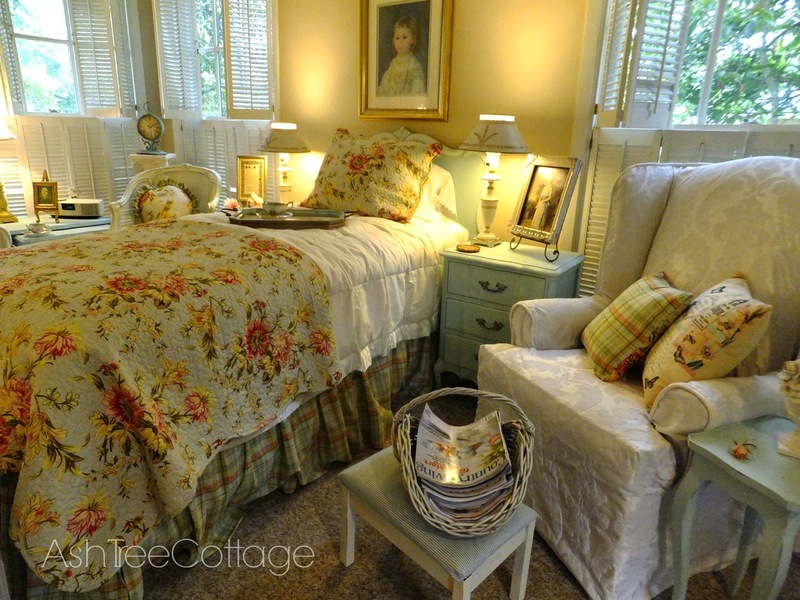 I love the many layers in this cozy cottage style guest room by Ash Tree Cottage. The finish on this drum table by B.O.R.N.HouseLiviving is fabulous. Congrats to Mary of Home is Where the Boat Is for her Magazine Spread. 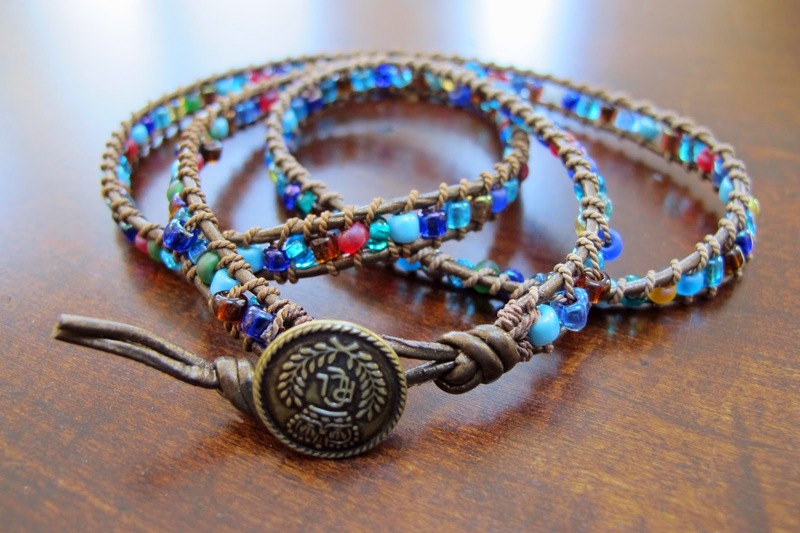 I love this beaded bracelet that was made by Just Grand. Thanks to everyone who joined last week. We can't wait to see what you have to share this week! 1. You must have a link or my button to this blog to be featured. 3. No advertising including shops and etsy shops. 5. By joining this party you give me permission to feature your work, with a link, on my social networks and this blog. Great features...and congrats to Mary on the fabulous magazine feature of her gorgeous garden shed! Thank you so much for featuring my guest room Kim! Great features Kim...thanks for hosting! more snow coming tonight and tomorrow! can't wait for Spring, thanks so much for having us over, Kim. Fun features Kim, love that table. Have a great week! Wishing for Spring to come in the Midwest too! Thanks for hosting. Thanks so much for hosting, Kim! Have a great week! Thanks so much for the party Kim - hope you have a great ( warmer than Montreal ) week ! Kim thank you so much for hosting! Super features...love the potting shed! Thanks for hosting! Great features this week! Great features! Thanks for hosting - your hospitality is much appreciated! Thanks for another great party Kim! Thank you for hosting Kim. Have a great week! Kim, thank you for hosting! Love the dining room! Thanks for the party Kim. Loved Mary's feature in one of my favorite magazines! Thanks for hosting! Susan's bedroom is so gorgeous! Perfect for spring. Thanks for hosting Kim! Thanks for featuring my bracelet, Kim! I'm honored! Hi Kim...love the chandelier in that dining room...great make over! It's such fun showing up each week to see what's new. Thanks! Hi Kim, love that dinning room! Also it looks like we both have similar taste when it comes to our bathrooms. I'm re-doing ours too and I love your flooring. Thank you! I look forward to this. A big WOW to CIndy on that drum table. Thanks for sharing the features and party, Kim. I am your basic non-decorator so I come here to get so many good ideas! Hi Kim, thanks so much for the party! Happy March Kim! Thanks so much for hosting the party! Thanks for hosting a great link party! I am your long time reader but this is my first time to join your party and not my last. That drum table is fabulous! Thanks for hosting! Hi Kim, Thanks so much for the Party! I hope you're having a wonderful week! Your Features are beautiful! Hi Kim, just wanted to drop in and say hello! I've missed your Wow Us Wednesday's, looks like another wonderful one! Hope all is well, hope to be back to blogging some day. I just got my computer back with a brand new screen so I headed to WOW knowing you would highlight some great spots for me to check out. Thank you for hosting Kim!! I always like to see if your favorites match my picks each week. There are always such fabulous projects...love it.